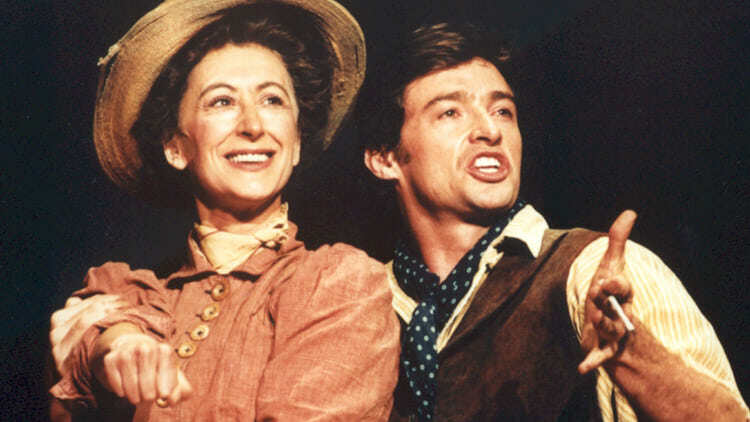 The film of the multi-award-winning Royal National Theatre production features the famed actor, singer and producer Hugh Jackman and Maureen Lipman. Directed by Trevor Nunn, artistic director of the Royal National Theatre and director of Cats, Starlight Express and Les Miserables and featuring new choreography by Susan Stroman. This production broke box-office records in London and was recognized by the Hammerstein estate as the definitive version of this immensely popular musical. The transition to screen was just as successful with the film winning an International Emmy award. Oklahoma! marked the beginning of Rodgers & Hammerstein’s partnership, the legendary team who went on to create Carousel, South Pacific, The King and I and The Sound of Music. Featuring such well-known songs as “Oh, What a BEAUTIFUL Mornin,” “The SURREY with a Fringe on Top” and “I Can’t Say No.” Oklahoma! changed the face of stage musicals by telling an emotional story through music, lyrics and dance as never before. Enter your zip code below to find a theatre and ticketing info near you. Be sure to check back for additional theatres and screenings.